The term “close reading” has recently become a Common Core buzzword, and rightly so. The Standards require students to examine texts with an unprecedented attention to detail. 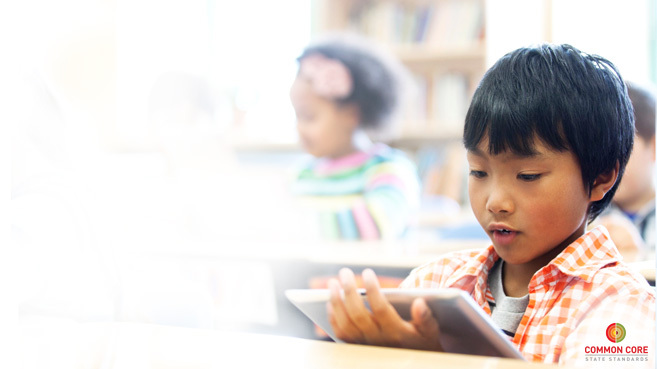 To help educators address this new emphasis on textual analysis, Scholastic has developed a digital nonfiction program called Core Clicks. This web-based curriculum supplement consists of 120 close reading lessons, called Text Studies. The center of each Text Study is a high-quality informational text written by the award-winning team of editors and literacy experts at Scholastic News and Weekly Reader. The Text Study uses interactive features to guide educators and students through THREE READS of the nonfiction text. With each subsequent “read,” students delve deeper, gaining a more thorough understanding of the text. Watch a pre-reading video and audio clip. Read the text with contextual vocabulary. Listen to the optional audio read-aloud. Read the text a last time. Converse in small groups or as a class. Students apply skills to a new and unfamiliar text. Close reading questions of the sort students will face on PARCC and Smarter Balanced Assessments. trackable pieces of the program. Core Clicks works on any existing classroom technology from iPads® to interactive whiteboards. That means there’s no new technology for teachers to learn, and the interface is so streamlined and simple that educators will be able to pick it up in a snap. Don’t let this user-friendliness fool you though—Core Clicks is a powerful Common Core supplement. The team behind it has years of experience creating dynamic digital content and engaging informational texts. The team is made up of a wide variety of editors, writers, programmers, and literacy experts like Nell K. Duke. They’ve meticulously designed each Text Study to meet the needs of the 21st century classroom and the Common Core Standards alike.